The Lazy Environmentalist: What is in that paint pot? A good friend of mine asked me about eco-paint recently, which led to an exploration of what paint is made of, and as a result I decided to write about my findings. As she is hoping for a baby in the near future, I was concerned about her inhaling the fumes from the paint, which to me seemed a bad idea. Have you ever felt dizzy or lightheaded when opening a paint-pot or stepping into a recently painted room? That’s because you are breathing in the 'volatile compounds' (VOC’s). What makes the compounds volatile is that they become a gas when released into the air. The gas then spreads around the room and you inhale the chemicals. Some materials can give off VOC’s relatively slowly, sometimes for many years, so they can remain in your home for a long time. Conventional chemical and synthetic based paints evolved as by-products from the petrochemical industry in the late 1930’s. These paints, once hailed as revolutionary, are now known to contain a variety of harmful substances that can affect our health and blight our environment; recent research tells us that VOC’s are a major contributing factor causing irritation and damage to the respiratory system. Although legislation now dictates that most chemical based paints must use reduced or low VOC’s, this has not solved the issue. Often other synthetics and chemicals have been used as replacements, which bring their own problems – one being disposal of any unused remaining paint. 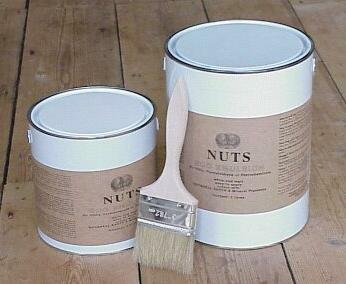 Plant or mineral based paints, in contrast, are biodegradable and can be disposed of safely on a compost heap. Mineral paints date back to cave painters who would have ground up minerals from rock and ores to create colours which were then mixed with water for their cave paintings. Traditional buildings, from castles to crofts, throughout Europe have mineral paints on their exteriors that have been weathering the elements for hundreds of years. 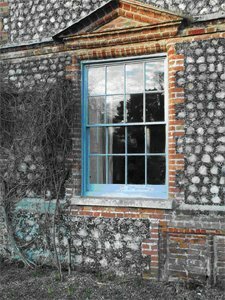 The simplest mineral paint is limewash also known as whitewash. 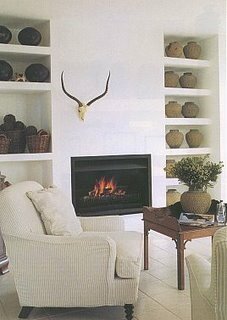 Mineral paints are made with naturally occurring earth oxide colour pigments and can be used indoor and out. Mineral paints breathe. Not only do they allow your walls to breathe freely, but so can you. Such paint is permeable to air and moisture movement and it allows moisture in the wall, plaster render and/or joints behind it to evaporate out. One of the great advantages of a breathing paint is that it reduces the build up of moisture in a room, thus reducing the likelihood of respiratory problems. Plant paints, such as linseed oil based paint, are considered the most sustainable of all: their resource can be grown and harvested in a sustainable agricultural cycle. Originally popular in Scandinavia due to their ability to withstand harsh weather conditions, linseed oil paint is extremely durable, lasting up to three times longer than conventional paint. Moreover, it smells only of the delicious linseed oil! Unlike conventional paint, linseed paint does not flake. Instead, it nourishes and moisturizes the surface beneath, which is particularly beneficial for external wood by preventing it from rotting. Even after seven years, all that is needed to refresh a fading external door is a wash of warm linseed oil to bring it back to it’s original tone. You know when a little oil replenishment is needed when the paint begins to look slightly chalky. Holkham Hall, in Norfolk, produces its own delightful range of linseed paints in a beautiful range of colours for their estate and now sell online.